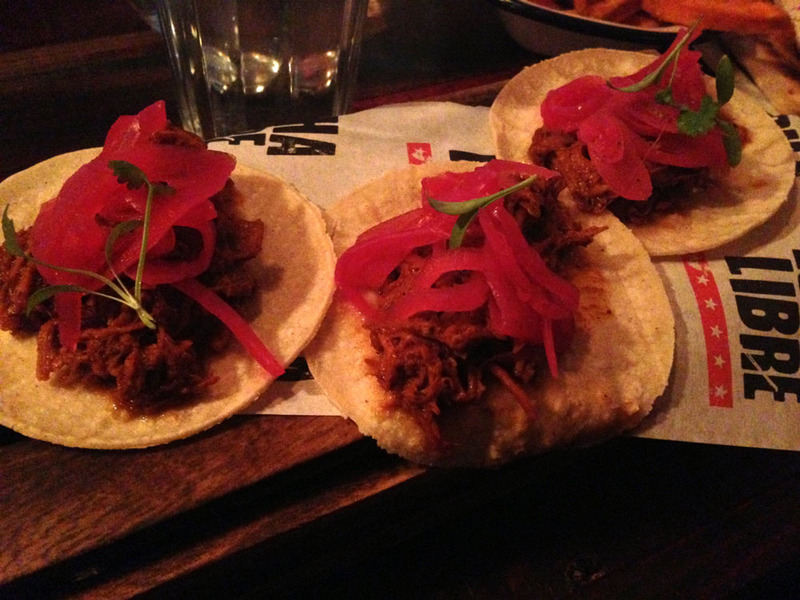 I recently heard about Lucha Libre in Manchester’s Great Northern Warehouse, and was really excited to try out this “Mexican street food” at the weekend for a friend’s birthday. The idea behind it is to avoid all the Tex-Mex gimmicks and just serve seriously tasty Mexican food (and drink), and I have to say I loved the laid-back setting, the fab music and the awesome cocktail menu (although I couldn’t justify buying two… I soon moved onto buying regular-priced drinks). My verdict was that the food was amazing and I’ll absolutely be going back, but I made a few mistakes on my first visit that I will remember for next time – mainly concerning the amount of food I ordered! 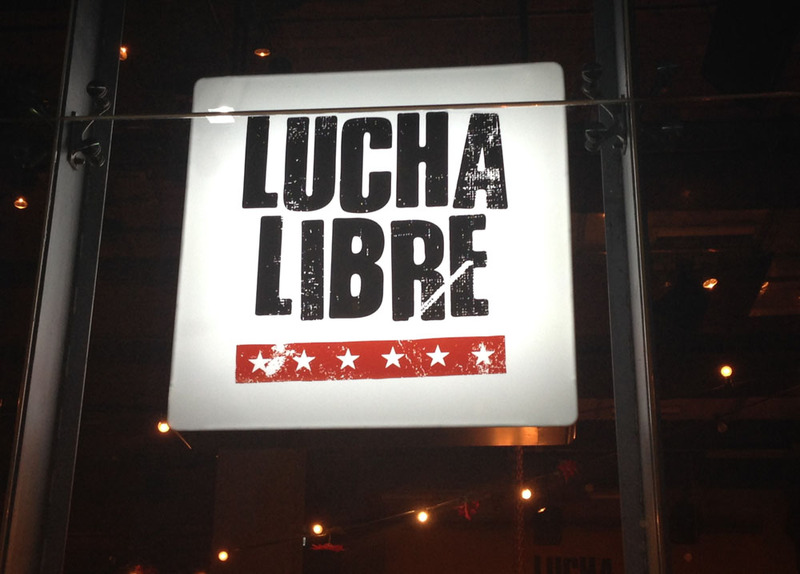 I wanted to share my recommendations and also some tips for anyone else visiting Lucha Libre. First thing’s first, we were offered “chips and dips” for the table – fried tortilla chips served in tin cups with a selection of guacamole, salsa and sour cream dips. These are not complimentary of course and for future visits I probably wouldn’t order them, because although they were quite tasty they were also really very crunchy (my poor gums!) and filled me up before the main dishes arrived. And those dishes are worth saving yourself for! The waitress explained that the dishes on the menu are sort of like tapas, and she recommended ordering 2-3 per person. Here was my main mistake – I ordered way too much food! I ordered a burrito, taquitos and also some sweet potato fries, and I just couldn’t finish it all even though it was delicious! Some of the dishes don’t even look particularly large, but they are all deceptively filling. They serve a range of burritos served in a soft tortilla, and I went for the Baja Fish Burrito, filled with beer battered white fish, pickled onions, mayo, spicy fries & sweet potato fries. That’s a lot of carbs! But it was very tasty, and a bit like a chippy tea in a wrap! Amazing. 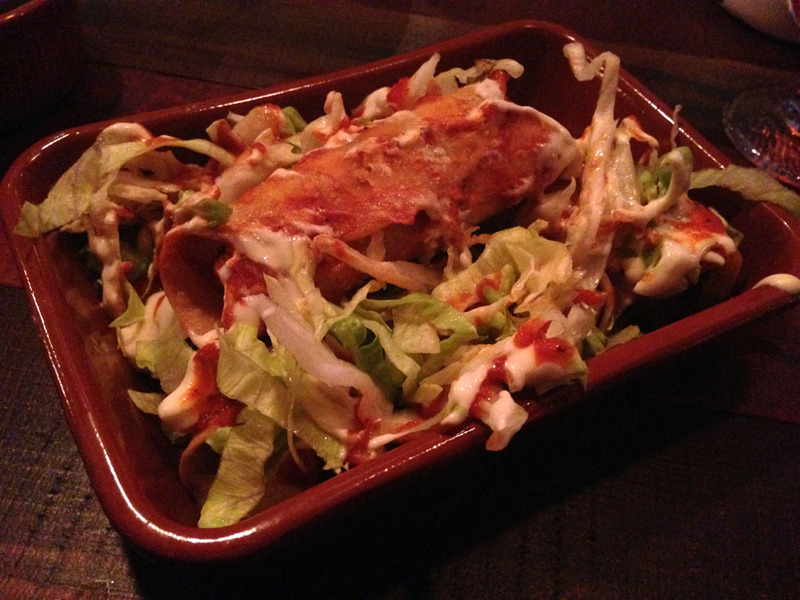 I also ordered taquitos (think Mexican spring rolls) and these were the biggest surprise. I ordered the Chilli Chicken Taquitos, where the deep fried tortillas were filled with chicken, chorizo, red chilli sauce, queso fresco and butternut squash. They were the most delicious thing ever, and are definitely on my list for next time! I didn’t order any tacos myself, but thought I’d share a photo of those too. They come as three loaded soft tortillas, and again there are plenty of options. Also on the menu are quesadillas, chilaquiles, tostadas, sharer platters for 2 people with a selection of the dishes, plus spicy and sweet potato fries with a variety of toppings (aka “Dirty Fries”). My plan for next time is to go for just one “main” dish (probably the taquitos), and a side dish of sweet potato fries. Alternatively I would split 3 dishes (main and sides) between 2 people. This would then leave me with enough room to experience the seriously amazing-sounding dessert menu. This time I was very disappointed to be so ridiculously full that I couldn’t manage a chocolate chilli brownie with pistachio ice cream! I won’t make that mistake again. 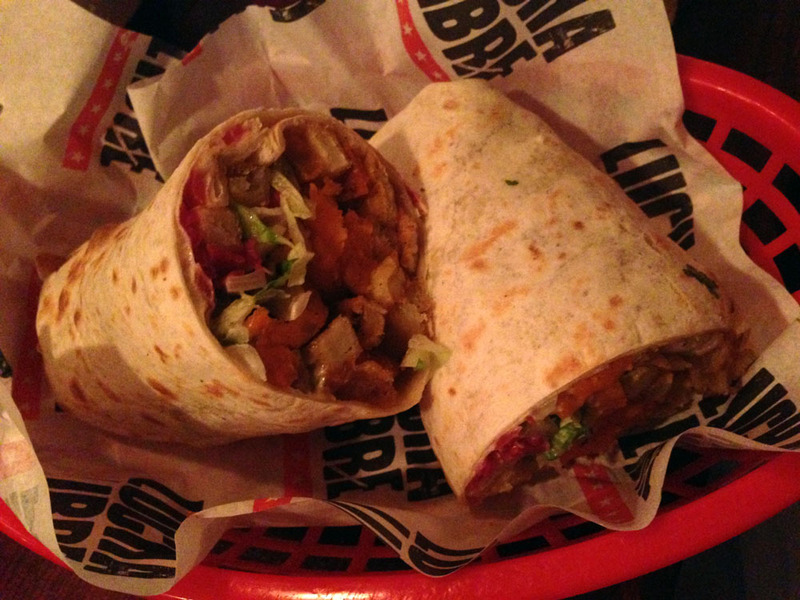 Has anyone else tried Lucha Libre? Food looks really interesting, must try it myself!